Super-stealthy startup Cumulus Networks has launched with what could be a hot property in the burgeoning world of open networking gear. The startup, founded in 2010 by two former Cisco (s csco) engineers, has built a Linux-based operating system for switches. 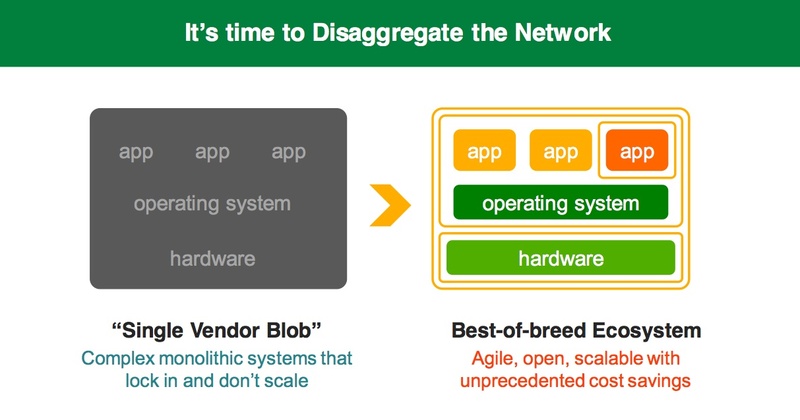 As the networking world changes, and companies that range from Broadcom (s brcm) to Intel (s intc) attempt to eat away at the proprietary switch business that Cisco, Juniper (s jnpr) and even Arista have built, there are huge opportunities for startups trying to rebuild in more open components the software stack that resides in those proprietary boxes. Cumulus, founded by JR Rivers and Nolan Leake is one of those startups. Rivers and Leake helped develop what is now Cisco’s Unified Computing System that combines servers and networking on one box. Cumulus has developed a Linux-based operating system to control the commodity switches that are being built by Quanta, Accton and Foxconn. It has raised funding from investors that include Andreessen Horowitz, Battery Ventures and VMware (s vmw) founders Diane Greene and Mendel Rosenblum. I’ve covered the startup before, as well as the overarching problems in the networking space, including calls by webscale companies such as Facebook (s fb) for exactly the sort of product that Cumulus is offering. But James Hamilton, the distinguished engineer who helps keep Amazon Web Services up and running, is apparently also a fan based on a Tuesday blog post. The post also has me suspecting that Amazon might be the big unnamed Cumulus user Rivers referenced in our call. Because networking gear is complex and, despite them all implementing the same RFCs, equipment from different vendors (and sometimes the same vendor) still interoperates poorly. It’s very hard to deliver reliable networks at controllable administration costs from multiple vendors freely mixing and matching. The customer is locked in, the vendors know it, and the network equipment prices reflect that realization. And that is what’s so exciting about Cumulus, and the entire wave of change sweeping over the networking world. Technologies such as OpenFlow, the rise of merchant silicon and even the promise of software-defined networks are all coming together to enable networks to make the same leap that servers made two and half decades ago, when Intel disrupted the proprietary chip model in play and opened up the ecosystem. The silicon providers have been doing that for a while with their own chips in networking, but people building out real, production networks still needed software running on that silicon that was robust enough to manage a variety of networking functions and protocols communicating to that chip. With Cumulus, they get that operating system and perhaps the real key to innovation in networks. Cumulus plans to open source the operating system and then sell support and new services on top of the OS, much like Red Hat does around Linux.